This landscape photo is titled "Moonscape" and was taken at the Pinnacles, which is located about 250km nouth of Perth, Western Australia. The picture was photographed with an 15mm lens using Fuji Velvia 50ASA film and taken with a Nikon F4. 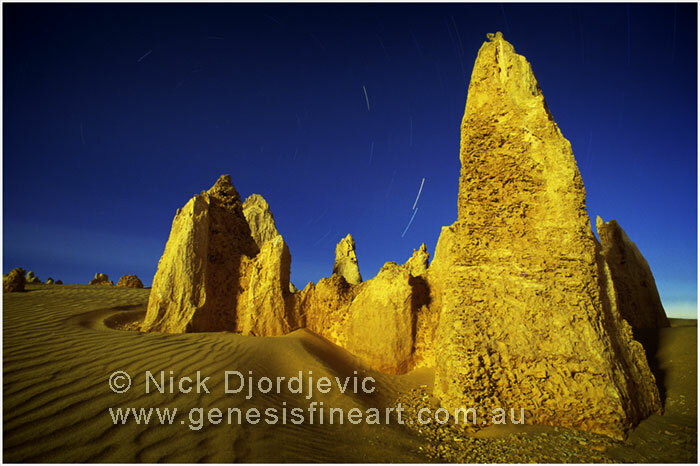 The exposure was 60 mniutes and the pinnacles was naturally lit by the light from the full moon.